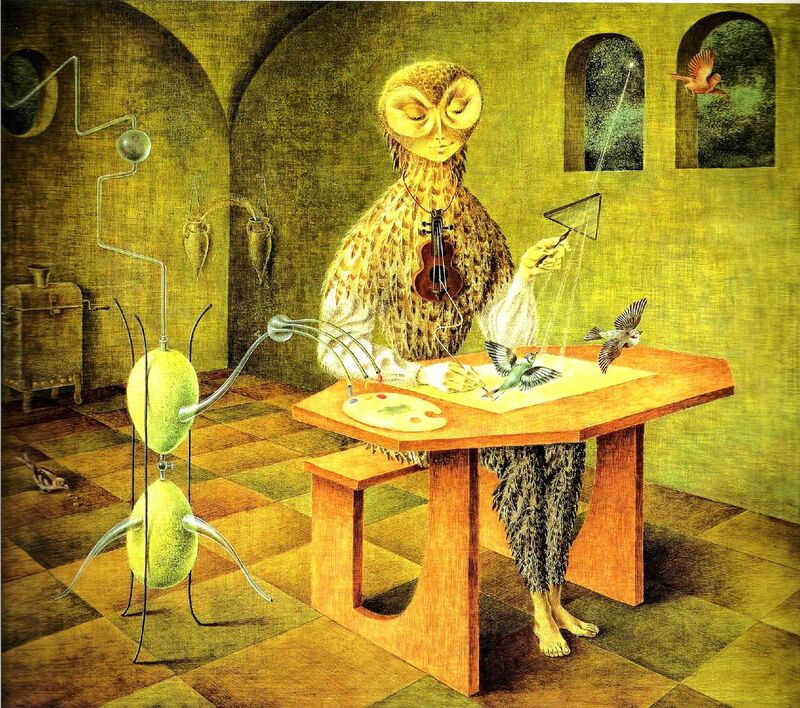 Remidios Varo -- SurRealist Feminist. "Creation of Birds" Varo has created her own surRealist language which crsytalizes mythicos into the sphere of the real. HD Wallpaper and background images in the Fine Art club tagged: remedios varo surreal feminist feminsim surrealism fine art painting. This Fine Art photo might contain esstisch, brasserie, and esszimmer.